My garden is like my own little church. When I’m out there weeding and sowing, I feel a peacefulness and closeness to God. I find myself praying and singing, and it comes as naturally as the birds’ songs. In my garden chapel, the beautiful foliage of Swiss Chard is the stained glass – it’s so beautiful with the sunlight shining through it. Scroll down to the end of the post to enter! 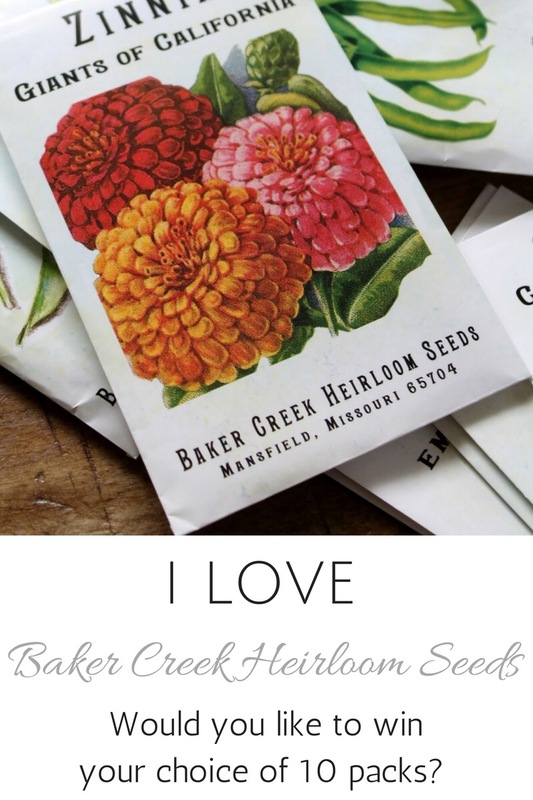 For many years, I planted “Bright Lights,” a variety that has a mixture of colors, including white, yellow, pink, orange, and red, but last year I decided I liked the pink best anyway and ordered “Flamingo” from Baker Creek Seeds. 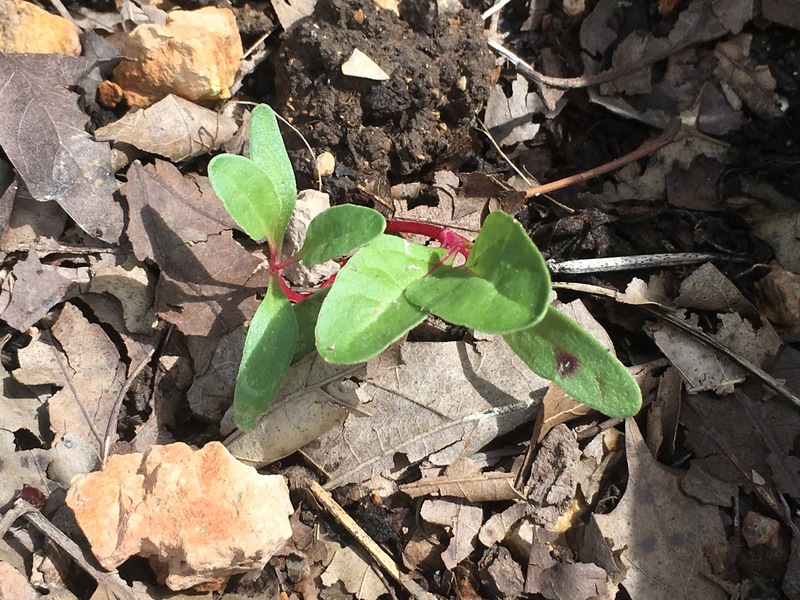 Swiss Chard is really easy to grow. It can be grown in full or part sun, and is pretty enough to tuck in among your flowers in the front yard. It prefers cool weather, so you can get both spring and fall harvests. Sometimes mine does well right through the summer. When harvesting, you can use the “cut and come again” method by only cutting the leaves you need and the plant will continue growing. Or you can harvest the whole plant. 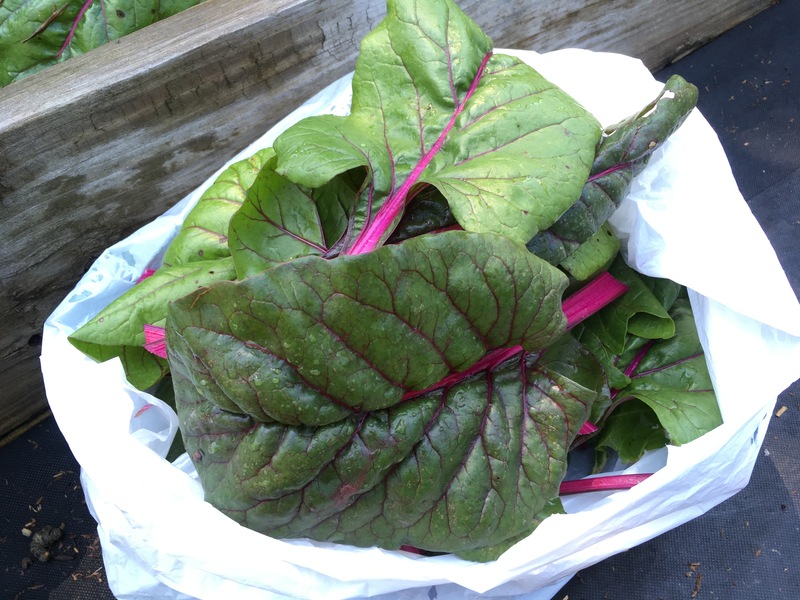 Chard is very economical to grow, especially when you consider the amount of nutrients it provides. Nutritious is an under-statement! 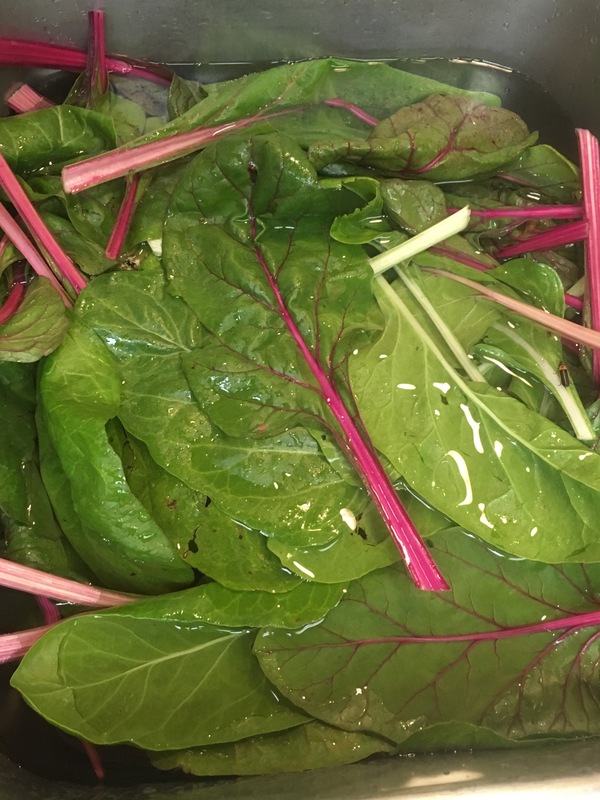 Swiss Chard has tons of vitamins and minerals, including vitamins A, K, and C, plus potassium, magnesium, calcium and copper. It’s also very high in antioxidants. Here’s a link to more in-depth information. I can assure you that you’ll be impressed! 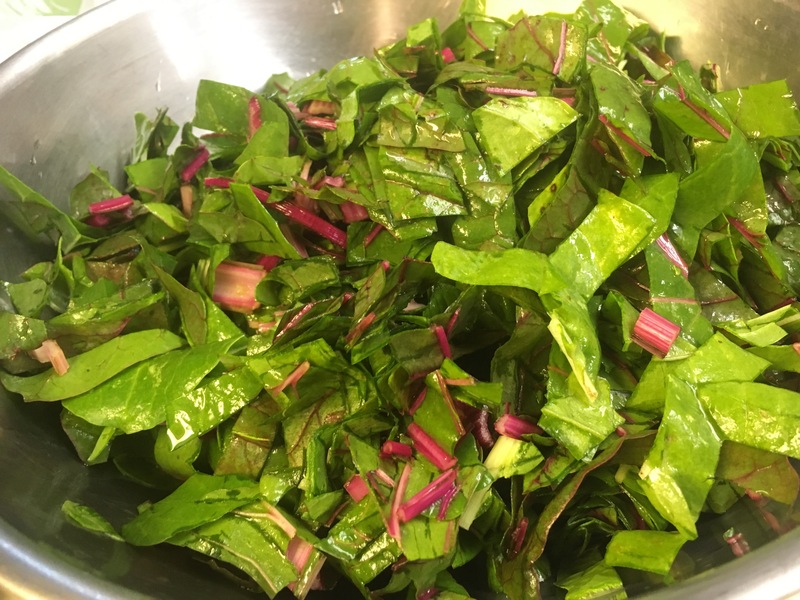 Tiny Swiss Chard leaves are beautiful in salads! When I order a salad at a restaurant, I’m especially impressed if it contains them. They add beauty and nutrition, and just seem a step up from the usual iceberg tossed salad. To preserve larger leaves, I wash them a few times to remove the dirt, then roll them up and chiffonade them. I blanch them in boiling water for about 3 minutes, and then put them into quart-sized baggies, press out the air, and lay flat in the freezer until they’re frozen. Swiss Chard doesn’t just look pretty, it’s inexpensive and easy to grow, not fussy, and yet offers a lot of health benefits. If it isn’t already in your garden, then consider adding it. It’s a beautiful crop to grow! 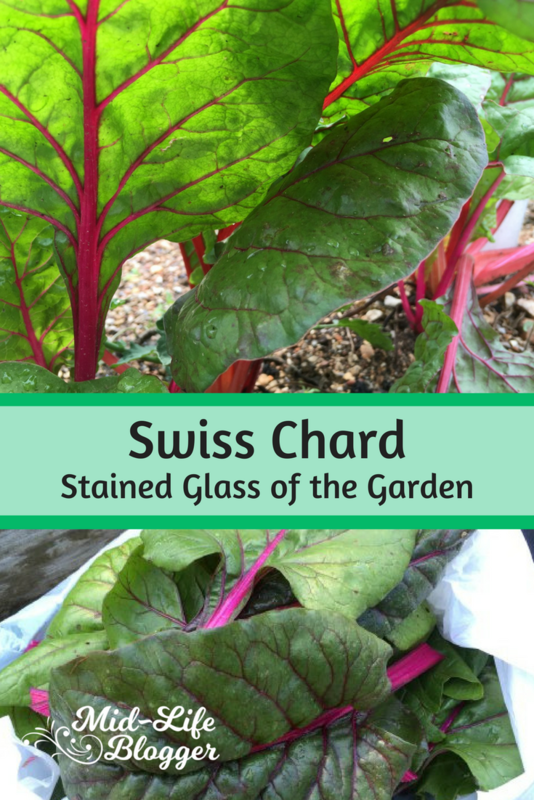 Are you ready to grow some Swiss Chard of your own? 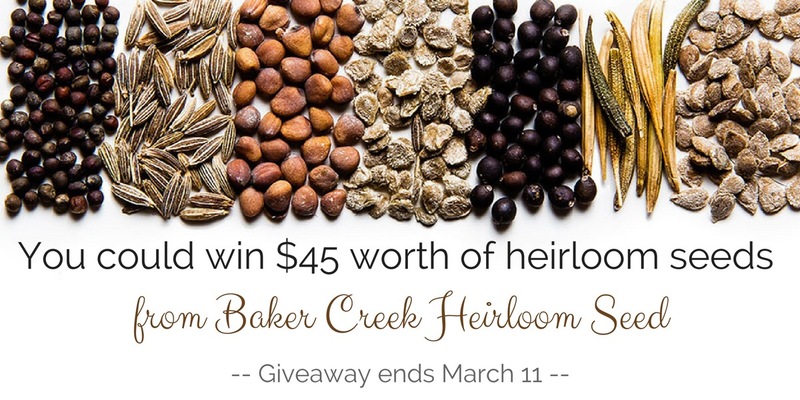 Some friends and I are having a giveaway for 10 packets of Baker Creek Heirloom Seeds. The winner gets to choose the varieties! So scroll on down to enter, and don’t forget to tell your friends! Also, please visit my friends’ posts for more great gardening reading! I’d love to have this Swiss Chard in our garden. It’s very easy to grow, and it also freezes well! I think I’m ready for Swiss Chard. I take your word for it that it’s easy to grow. This is a great read! Thank you! I hope you have a great first experience with it! I love Swiss Chard. It’s quite delicious and nutritious. I love to have it in our garden. Thanks for a great read! We should have this plant in our garden. My wife will love this! Swiss chards are pretty. I would like to grow them in my garden. Gardening is my newfound passion, I should say.